We are creating new service and commercial models to enable agility, reduce cycle times, increase quality and achieve sustained cost savings. By becoming your contingent workforce partner or as part of your specialist PSL framework, we use non-traditional methods to access untapped markets to find the specific talent you need. Rapid growth and organisational change demand agility that can only be achieved through the provision of contingent workers. This is a core part of our business and something we do extremely well. Different skills and requirements are found from different sources of supply and via a variety of engagement types. The workforce landscape is increasingly complex, and plays into the ongoing trend towards the ‘gig economy’. Gibbs Hybrid enables its clients to access these multiple and increasing sources of external talent supply using a variety of operating models, process and service management capabilities. Our RPO offering for permanent recruitment is transparent and efficient, with a comprehensive data analysis and collection suite to deliver meaningful and actionable data. We manage the complete lifecycle from workforce planning through recruitment marketing, negotiation and onboarding. By choosing an RPO service from Gibbs Hybrid, your organisation gains complete transparency of your permanent recruitment through streamlined processes and a dedicated RPO team. Our RPO offering can be delivered at customer sites by a team of specialist Delivery Recruiters who will become an extension of the client’s Talent Acquisition team. We offer a suite of talent acquisition solutions and delivery models. Our new GigBUDI solution delivers end-to-end direct sourcing for curating talent pipelines and requirements. 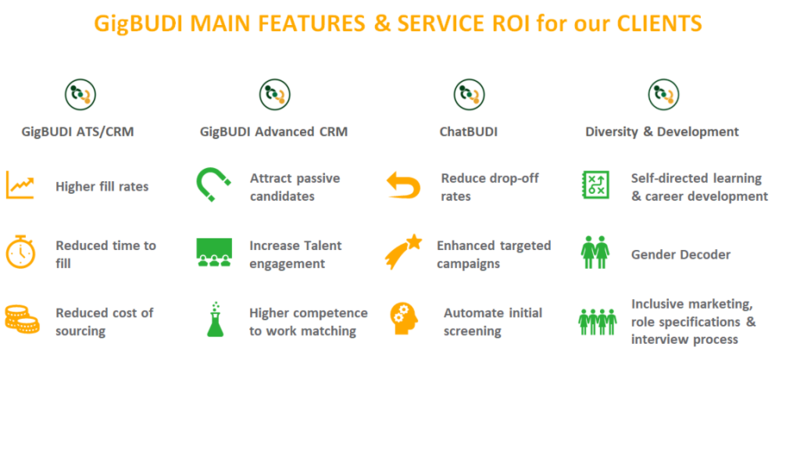 GigBUDI nurtures the passive, hidden candidate pool and improves candidate ‘fit’ to ensure a higher quality of hire at a lower cost and in a shorter time frame. GigBUDI gives our clients the flexibility to direct-source qualified and prepared candidates, eliminating inefficiencies and delays to minimise the journey time from interest to onboard. We can, therefore, deliver this full end-to-end capability or simply provide support for certain parts of the process such as sourcing and screening, building talent communities or developing the Employer Value Proposition. We believe that the MSP, the contingent, gig economy solution is focused on identifying and engaging an increasingly diverse talent pool through innovation and a high-touch boutique mindset MSP 20/20. The traditional MSP was passive, rules-bound and focused on supplier management and compliance services. We believe that the MSP, the contingent, gig economy solution is focused on identifying and engaging an increasingly diverse talent pool through innovation and a high-touch boutique mindset We call it MSP 20/20. As a Managed Service Provider we can provide direct access to all resources, giving visibility and control of all suppliers, payroll processing and legal compliance. For our clients, MSP 20/20 with state of the art decision support, governance and data analytics is important, but our unique value-add is to automatically skill-match people into talent pipelines, ready to tap into. Our candidates are enthusiastic, already know what roles they fit into best and are prepared to deliver value from day 1 of their assignment. 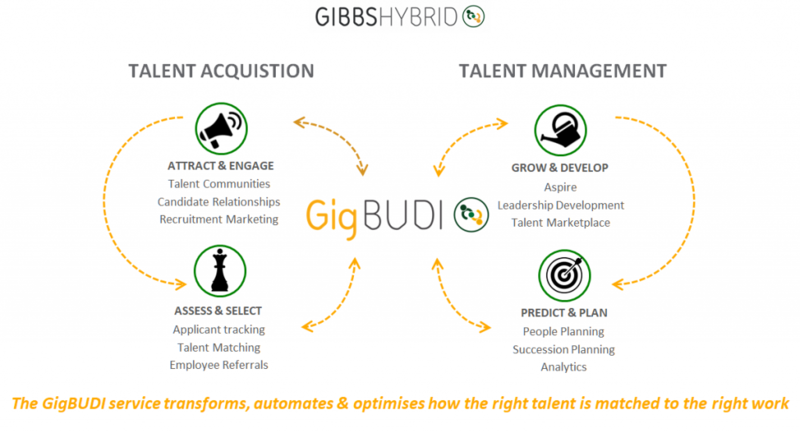 Master Vendor: Gibbs Hybrid takes responsibility for acquiring all contingent workers. It’s the fastest and most efficient way to build a contingent workforce. We have carried out many of these assignments, and our implementation model is well field-tested. Vendor Neutral: Gibbs Hybrid manages vendors on behalf of the client, reducing the client’s management footprint. As a neutral vendor, our focus is on improving the quality of the clients’ contingent workforce, while reducing cost and mitigating risk to the client. Hybrid: Gibbs Hybrid offers a blend of the two approaches, delivering complete flexibility depending on the client’s workforce strategy. Our vertical teams, SME’s and Talent Pipeline and Pooling teams focus on end-to-end sourcing, recruiting, interviewing and hiring techniques. Permanent and Contingent Talent Acquisition – Let us help you to find the great talent that drives your business forward. We provide comprehensive and dedicated support to clients looking to expand their workforce, either with Permanent or Contingent staffing. The right cultural and skills fit is essential to the ethos of our clients’ business and brand. Our hiring process begins with identifying exact requirements and then building a relevant and strong campaign to find, evaluate and place talent into the business. Our highly experienced vertical teams, SME’s and Talent Pipeline and Pooling teams focus on end-to-end sourcing, recruiting, interviewing and hiring techniques. Through our tested blend of automation, artificial intelligence and sourcing consultant analysis, we develop quality, diverse and timely candidate pipelines for individual and profile positions across IT and non-IT needs. “I’ve worked with Gibbs over the last 10 years or more in a number of different organisations. I’ve found them to be straight forward, knowledgeable and helpful. The quality of staff they supply, both as standard contractors and as SMEs, is excellent. GigBUDI is our talent magnet. It delivers end-to-end direct sourcing for curating talent pipelines and requirements. It nurtures the passive, hidden candidate pool and improves candidate ‘fit’ to ensure a higher quality of hire at a lower cost and in a shorter time frame. GigBUDI – The New Talent Community from Gibbs Hybrid on Vimeo. Traditional reactive talent sourcing methods can limit candidate quality and the ability to influence candidate pay rates – with GigBUDI, highly qualified and motivated candidates are identified proactively within talent communities and talent marketplaces. Talent pools that source from job boards, LinkedIn ads and cold calling, tend to focus on active job seeking candidates and engage with only a relatively small proportion of the total candidate market – GigBUDI delivers the recruitment marketing strategy and A.I. technologies to engage and nurture the passive candidate markets and to improve the candidate to role fit to ensure a higher quality of hire. The GigBUDI fully managed service offering removes all of these sourcing challenges and provides direct hiring channels to reduce reliance on traditional 3rd party supply for external resources, while, at the same time, removing the need to increase internal recruitment headcount. GigBUDI is a registered trademark of Gibbs Hybrid.